Tui Travel hosted a disability awareness day at its Luton headquarters last week with the help of two leading members of the Biritish Paralympics team. 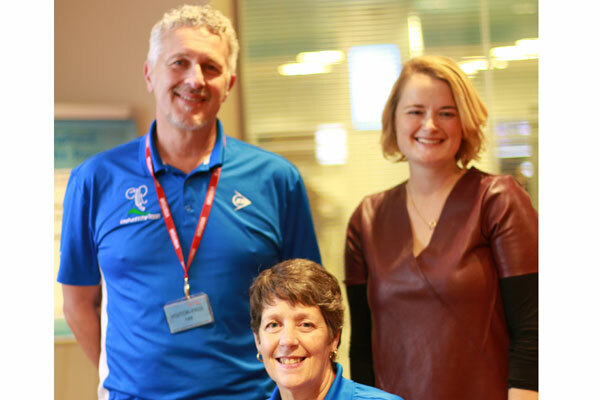 Pippa Britton, a double Paralympian and holder of three World and eleven national records and former British Paralympics Head Archery Coach, Tim Hazell, ran the special event. The aim of the session was to challenge and address misconceptions as well as gain first hand insights into the access issues that disabled people face. Marina Snellenberg, accessibility manager for Tui UK, said: “Twenty two percent of the population reports having a disability and with our ageing population that figure is only going to increase. “It goes to follow that as an industry we are going to be serving more and more people with reduced mobility and it’s important our teams are equipped to do so as effectively as possible. Britton, who was born with spina bifida, and Hazell are the UK’s leaders in their field, running learning workshops across the country to advance ways of thinking and working that will bring greater disability awareness. Their company, Elephant in the Room, creates bespoke sessions for schools, theatres and businesses small and large and for Tui employees they shared their experiences of travelling and working with people of reduced mobility. Britton said: “It’s fair to say the GB Paralympics squad faced a number of challenges travelling to and in Beijing and London and we had a screw driver with us for impromptu access adjustments to doors. “I have had my wheelchair lost on flights and I once booked an accessible room, which was indeed perfectly accessible, but in a hotel that turned out to be the total opposite with stairs at every turn. However, things are undoubtedly getting better and learning sessions like this, helping people gain a better understanding of how to communicate better with disabled people and having a better understanding of our needs, will go a long way to improving things even more in the future”. As well as sharing personal insights Britton and Hazel, who had no experience of working with disabled athletes before he was appointed Head Archery Coach, gave practical advice on meeting and working with people with physical and hidden disabilities. Snellenberg, said she hopes to run more sessions in the future. “We strive to treat all our customers as unique individuals and to meet their personal holiday needs,” she said. “That’s no different with disabled customers. Disability does not define them as people but it does mean they have some specific requirements we need to take on board. “Working with experts like Pippa and Tim will make our staff more confident and adept at exploring what we can do to make our products and services as accessible as possible to as many people as possible”. Tui UK is in the process of reviewing access information for all the properties in its portfolio to make sure it’s accurate and up-to-date. It will also be independently auditing selected hotels, and plans to work with it hotel partners to integrate accessible design features into new build and major refurbishment projects.